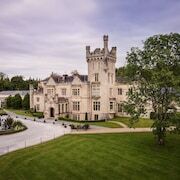 Situated on the waterfront, this eco-friendly hotel is steps from Bluestack Mountains and Lough Eske. Ardnamona Gardens is 2.8 mi (4.5 km) away. Can't say enough about this property! Beautiful location! Spotless! Great for surfing, staff was very friendly and went out of their way to make sure we had a great time in the area. Where to find Ardara hotels near an airport? Where can I find hotels in Ardara that are near tourist attractions? It's recommended you book early as there is not a wide range of Expedia-registered lodgings that are less than 0.1 kilometres (0.06 miles) from Ardara. 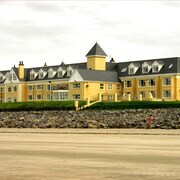 The nearest Expedia-listed hotel is the Sandhouse Hotel, Ireland, located 30 kilometres (18 miles) from downtown Ardara. As an alternative, you could investigate the Woodhill House, located in Ireland, which is 4 kilometres (3 miles) away. The Eagle's Nest Bed & Breakfast is situated 12 kilometres (8 miles) from the middle of Ardara. Or, alternatively, the Randwick is 35 kilometres (21 miles) away. 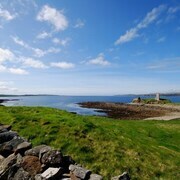 Alternative hotels and apartment options include the Heron's Cove and the Caisleain Oir Hotel. Looking for things to do? Why not spend the day enjoying Killybegs Maritime and Heritage Visitor Centre and Maritime & Heritage Centre, in Killybegs, 13 kilometres (8 miles) to the south of Ardara. 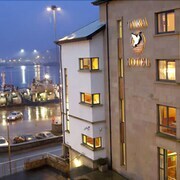 The Bay View Hotel & Leisure Centre and Tara Hotel are some of the Expedia-recommended long and short-stay alternatives in Killybegs. Or stay in Downings, 65 kilometres (39 miles) to the northeast of Ardara, where you'll find the Doherty Farm Holiday Homes and Mevagh House. If you stay in Downings, be sure to visit the Carrigart Beach and Sandy Hills Golf Course. Just because you're on vacation, doesn't mean you can't enjoy your love of all things sport. You'll find Letterkenny Leisure Centre 50 kilometres (32 miles) to the northeast of Ardara. 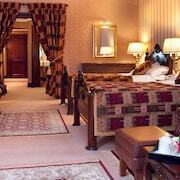 Stay right near the action at the Radisson Blu Hotel, Letterkenny or the Clanree Hotel. For visitors who choose to fly, Donegal Airport is the preferred airport for Ardara. Not far away is Bunbeg House. 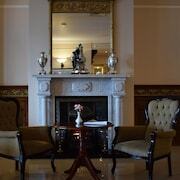 What are the most popular Ardara hotels? 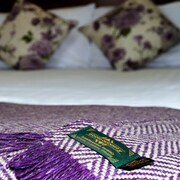 Are there hotels in other cities near Ardara? What other types of accommodations are available in Ardara? Explore Ardara with Expedia.ca’s Travel Guides to find the best flights, cars, holiday packages and more!